In order to add the Certificate Service Web Enrollment component (subcomponent to CA), which we’re going to use in this article, the server needs to be running IIS, so if you haven’t already done so, install IIS before continuing with this article. 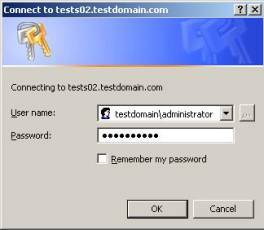 In the following screen we have to fill out the Common name for our CA, which in this article is mail.testdomain.com. 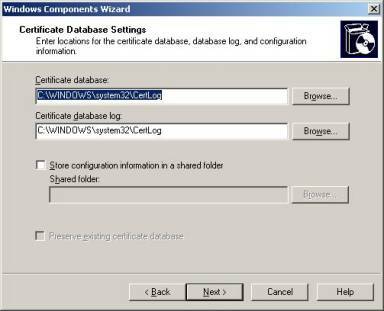 We now have the option of specifying an alternate location for the certificate database, database log, and configuration information. 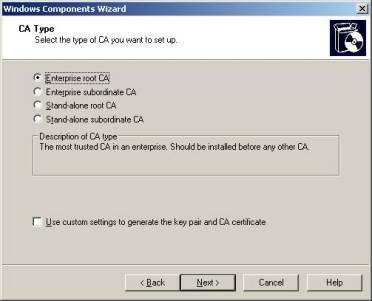 In this article we will use the defaults, which in most cases should be just fine. In the next screen we need to pay extra attention, as the common name reflects the external FQDN (Fully Qualified Domain Name), to spell it out, this is the address external users have to type in their browsers in order to access OWA from the Internet. 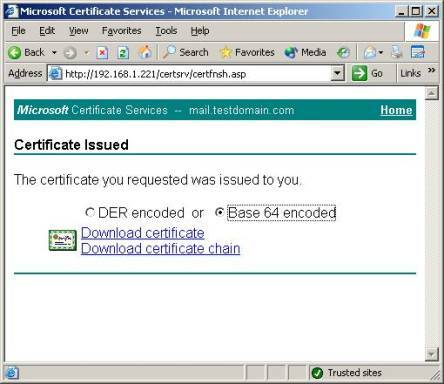 Note: As many (especially small to midsized) companies don’t publish their Exchange servers directly to the Internet, but instead runs the Exchange server on a private IP address, they let their ISP’s handle their external DNS settings. 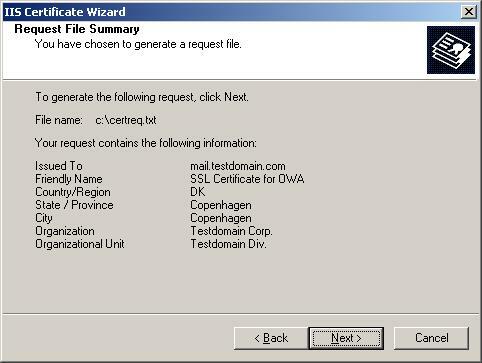 In most cases the ISP creates a so called A record named mail.domain.com pointing to the company’s public IP address, which then forwards the appropriate port (443) to the Exchange servers internal IP address. 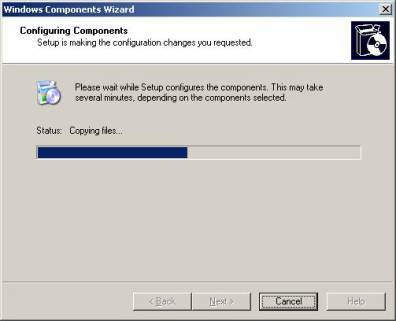 And finally we can click Finish. Note: In order to access the Certsvr virtual folder, you may be prompted to enter a valid username/password, if this is the case use the Administrator account. 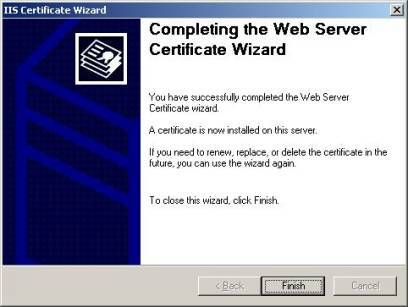 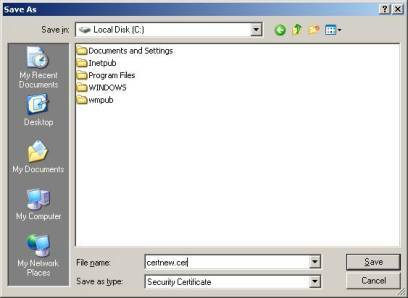 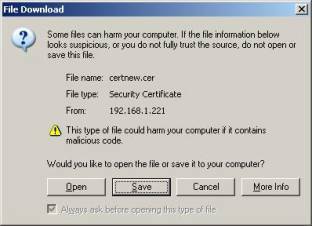 When you have been validated the Windows 2003 Server will most probably block the content of the CertSrv virtual folder, which means you wil have to add it to your trusted sites in order to continue. 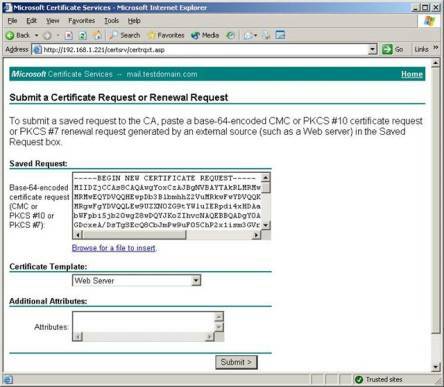 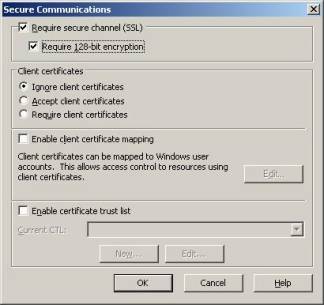 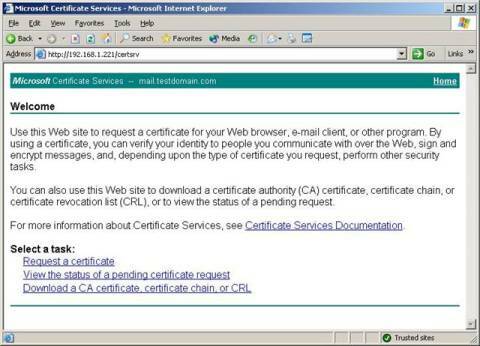 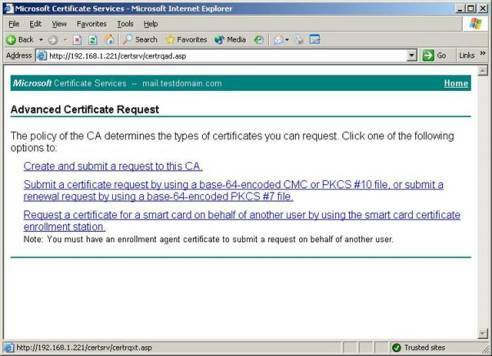 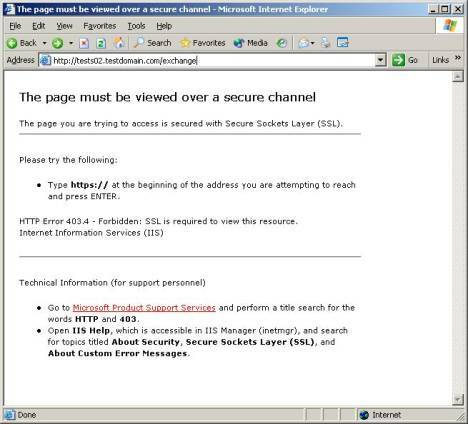 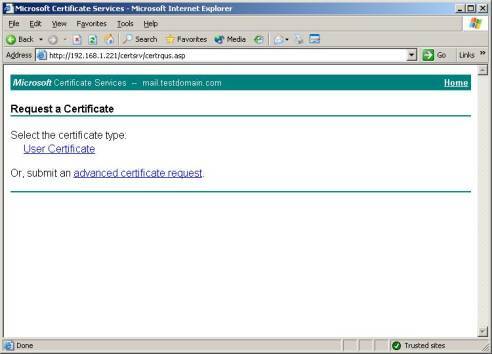 Close the Microsoft Certificate Services IE window. We have now appended the Certificate to our Default Website, but before the data transmitted between the clients and the server is encrypted, we need to click the Edit… button under Secure Communications. 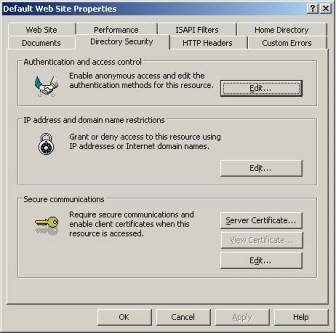 Now that we have gone through all the configuration steps necessary to enable SSL on our Default Website, it’s time to test if our configuration actually works. 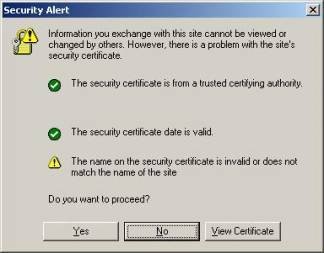 Note: You may have noticed the yellow warning sign, this informs us The name on the security certificate is invalid or does not match the name of the site. 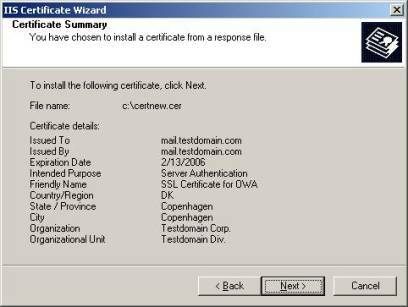 Don’t worry there’s nothing wrong with this, the reason why it appears is because we aren’t accessing OWA through the common name, which we specified when the certificate was created. When you access OWA from an external client through mail.testdomain.com/exchange, this warning will disappear. 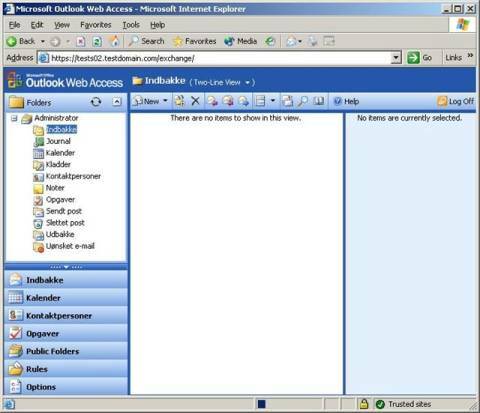 We should now see the Administrator mailbox. Notice the yellow padlock in the lower right corner, a locked padlock indicates a secure connection, which means OWA now uses SSL.